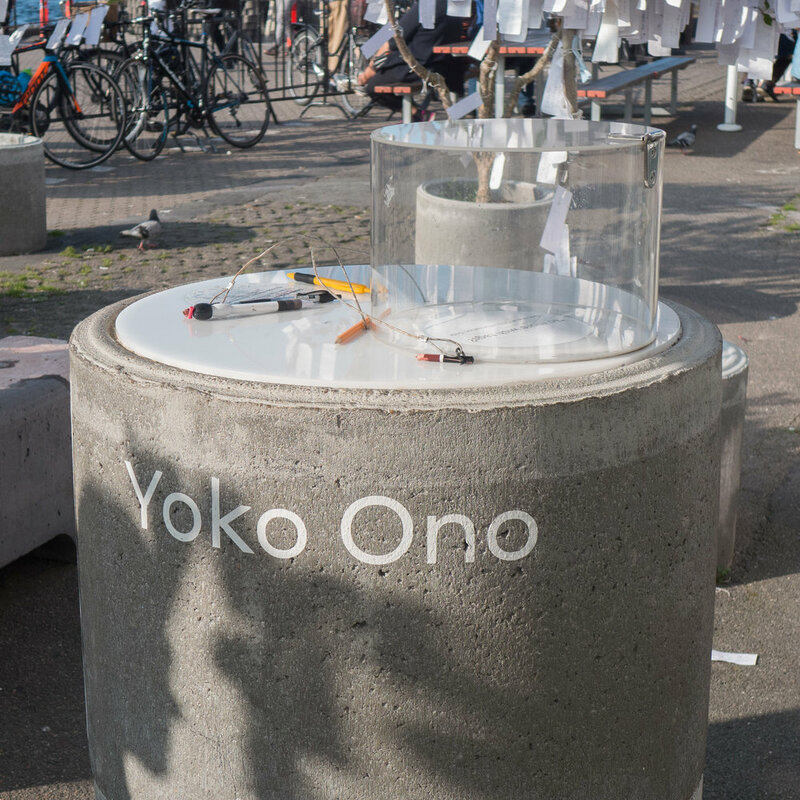 On the quayside at Copenhagen Contemporary on Papirøen - Paper Island - there is an installation by Yoko Ono. Trees - a mixture of lilacs, apples, cherry, magnolia and dogwood - have been planted in simple concrete tubs and visitors are invited to write a wish on a label and then tie it to one of the trees. These are collected at intervals and will be sent to the artist to be placed in the Peace Tower at Viðey in Kollafjörður Bay in Iceland. Many visitors were not only adding their wishes to the trees but were spending time reading the tags fluttering gently in the sun.